Causeway Bay has its share of famous food outlets which locals patronize for certain specialties. 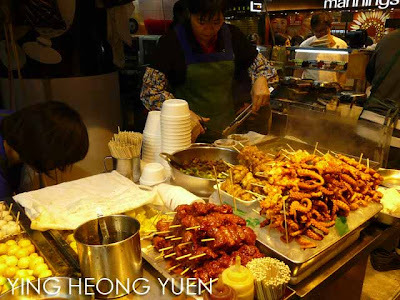 So before proceeding to the Novotel Bloggers Dinner in Novotel Century Hong Kong, I sneaked out together with Novotel Citygate Marketing Communications Manager Josephine Tang, to try out some local flavors. One of those places in Causeway Bay is Tsui Wah Restaurant. 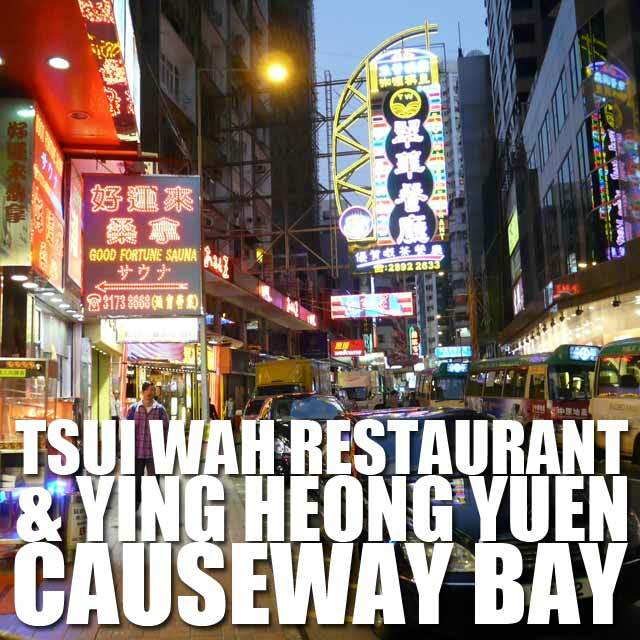 You can't miss it because of its gargantuan neon sign outside the store which is clearly visible from the street. 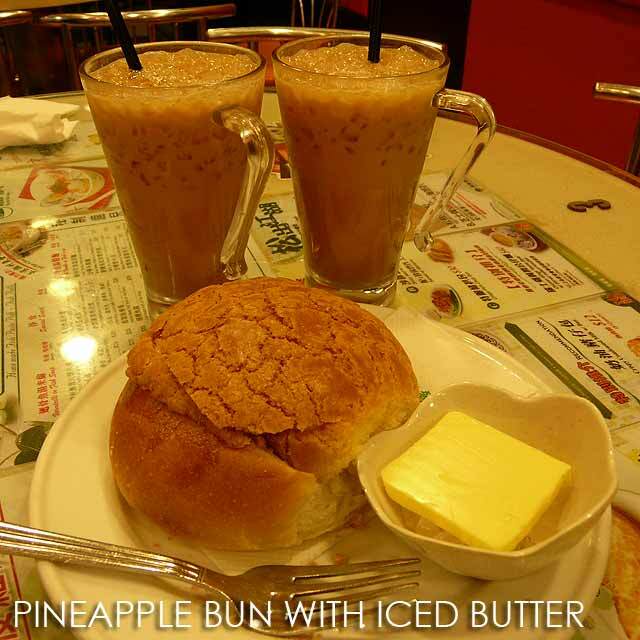 It's actually very popular because of its Pineapple Bun with Iced Butter. You basically place the thick slice of butter served on ice inside the bun and bite! 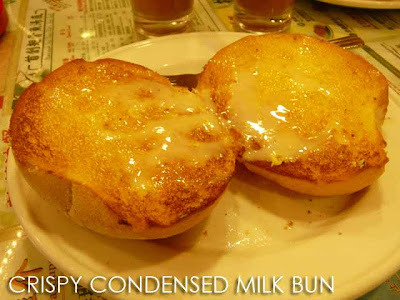 Then there's the Crispy Condensed Milk Bun which was basically a toasted bun with butter topped with condensed milk. It was really good! 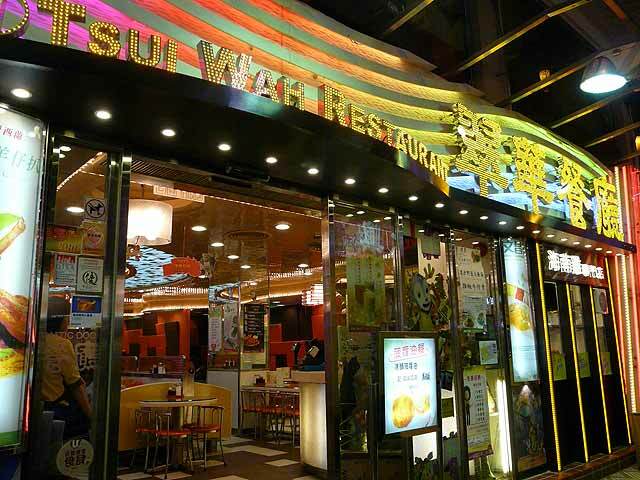 And don't forget to get yourself one of their very famous iced coffees to go with your buns. 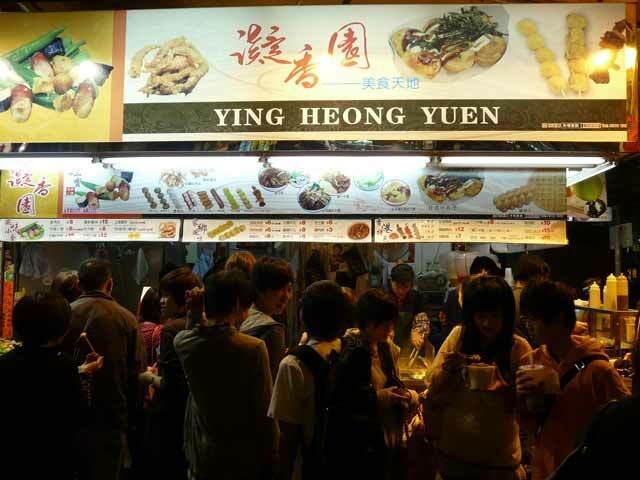 Still not satisfied, we moved over to this street food stall called Ying Heong Yuen. It reminded me of the hawker stall we ate at in Mong Kok during our family trip last May. 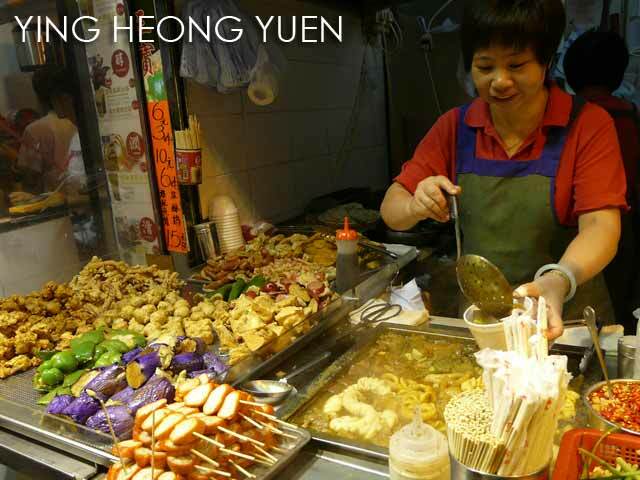 From fried or boiled innards to deep-fried vegetables or tofu, boiled beef balls, sausages and seafood on skewers, you had a lot to choose from. They basically but it in a paper bag or styrofoam cup with their signature sauce. Too bad I had to control my appetite since we still had a dinner to catch. 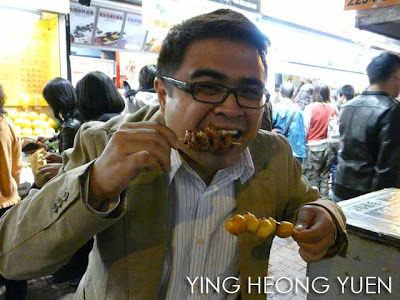 But I made sure to have some before proceeding back to Novotel. For more Hong Kong photos, check out my FB page.